A trash can is the perfect size to store long tubes of wrapping paper. 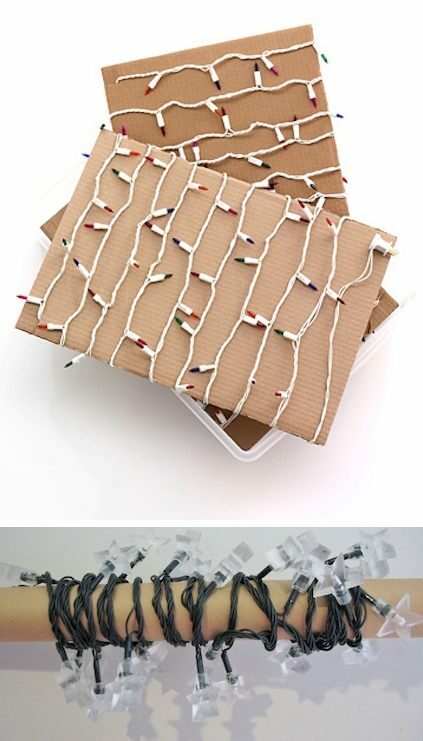 You wouldn’t even need the cardboard tubes that come with the gift wrap for this one. Just toss your paper in. To make it a little more mobile, add wheels on the bottom with cushioned tape. Check out the instructions for that here. Tangles, tangles, and more tangles! This is what we have to look forward to every year when we break out all of the Christmas lights. It gives me anxiety! 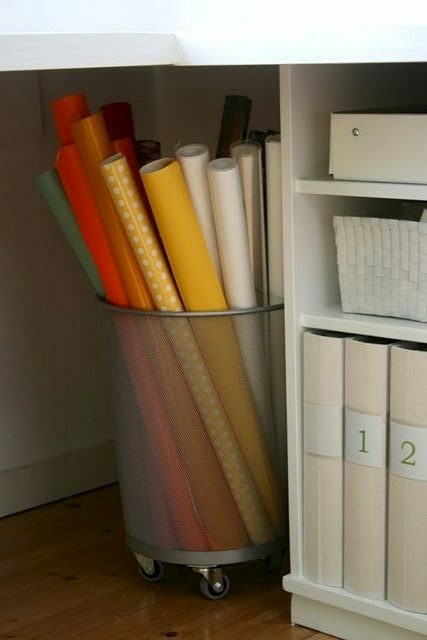 Here’s an easy and cheap solution to that problem: Wrap them around pieces of cardboard and long wrapping paper rolls to keep them better organized and tangle free. 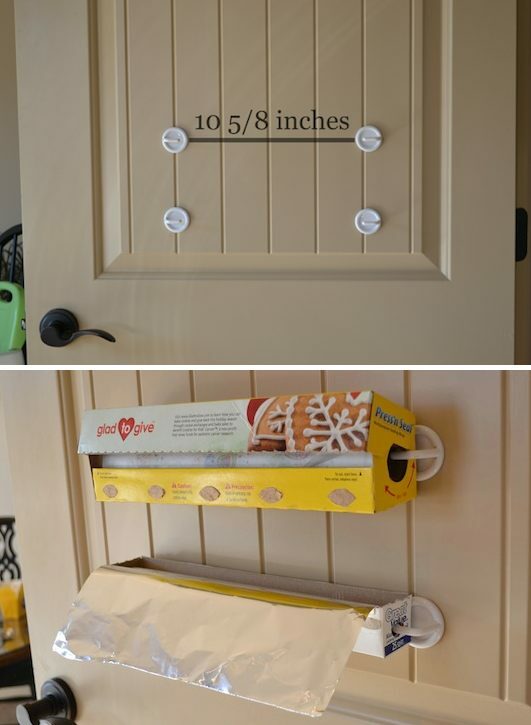 The back of a pantry door is the perfect place to store your rolls of plastic wrap and foil. It’s out of the way, doesn’t take up needed drawer or counter space, and it’s easy to pull the wrap off of the box while it’s secured to the door. You will find full instructions for this project over at Ask Anna.